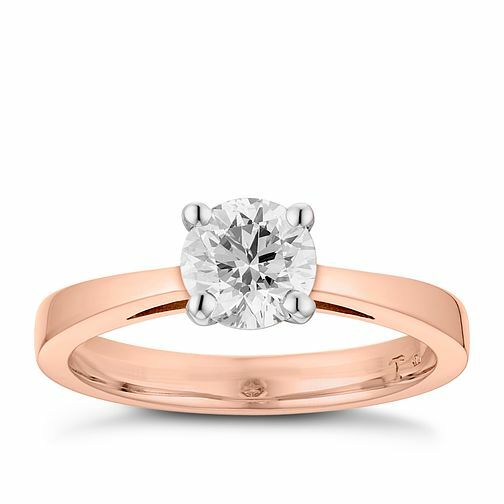 Tolkowsky 18ct rose gold 1ct diamond solitaire ring. Set in a four claw setting the brilliant cut Tolkowsky diamond is HI VS2 in clarity and colour. Each Tolkowsky diamond comes with a gemological certificate. Tolkowsky are the creators of the brilliant Ideal Cut diamonds.